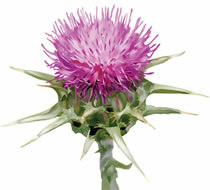 Hundreds of studies have been done on milk thistle. Medline, for example, shows over 300 studies on milk thistle. By entering "silymarin & liver" at the search prompt for Medline, ( http://www.ncbi.nlm.nih.gov/Entrez/medline.html ), you can access these studies. Many of these studies have been done on rats, but their livers function basically the same as the dog's liver. There are also large scale, double-blind studies that show that milk thistle is safe and effective for humans and animals. Animal studies find no short-term or long-term toxicity, even at very high doses. In Germany, where the herb is government-endorsed, the herb is considered so safe that there are no warnings against using it, even during pregnancy and lactation. The results of numerous studies suggest that silymarin not only protects liver cells by preventing the actions of toxic substances but that it also stimulates protein synthesis to accelerate the regeneration and production of liver cells. Silymarin also has antioxident properties that prevent free radical damage and the formation of damaging leukotrienes. No toxic effects from milk thistle have been reported, but it can produce a looser stool as a result of increased bile flow and secretion. Milk thistle can also have an effect on the absorption of some medications, because the liver is processing the substances more efficiently. One well known controlled study involved the use of the Amanita phalloides mushroom, which contains two of the most toxic liver poisons, (phalloidin and amanitin). Ingestion of this mushroom leads to death in up to 40% of cases and severe liver damage in the balance. Silymarin given before ingestion of this mushroom is effective in 100% of cases in preventing death and liver damage. As an antidote given within 24 to 36 hours silymarin has been found to reduce liver damage and prevent death. Clinical studies involving humans have shown that this herb is effective in the treatment of liver diseases including fatty liver, chronic hepatitis and cirrhosis of the liver. Milk thistle is widely available, at health food stores, and even some drug stores and grocery stores. The standardized extract that has been widely tested and has also been approved in Germany for liver disease and functional liver impairment contains 70 to 80 percent silymarin. Dosage recommendations are usually on each bottle, and should be discussed with an individuals medical practioner, but a general guide offered by some for an adult humans use is 420 mg. of silymarin taken in 3 divided doses daily. If there is no liver damage, and you simply want to protect your liver from damage, it is often recommended that an adult human use around 280 mg. of silymarin daily. Jeri is a long time member of Epil-K9 and is deeply interested in Chinese Medicine, Acupuncture/Acupressure and Chinese herbs as well as Gold bead Implants. There is no evidence that Milk Thistle has any adverse effects. It increases bile flow and bile content of cholesterol, but does not appear to decrease bile formation from the studies I have read. Most of this work has been done in rats, but their livers function basically the same as the dog. 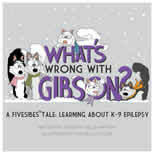 There is probably no reason for a normal dog to take milk thistle, unless there is exposure to potential hepatotoxins. Phenobarbital is a hepatotoxin, therefore, epileptics probably need it.